Newbury is a small, independent college offering baccalaureate and associate degrees in more than 20 career-relevant majors. The College has three Schools: Arts, Science & Design; Business & Management; and the Roger A. Saunders School of Hotel & Restaurant Management. 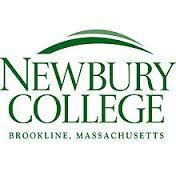 Newbury College has been a leader in career focused education for 50 years. Nestled in a beautiful neighborhood just minutes from the MBTA and the vibrancy of Boston, Newbury College in Brookline focuses on each student everyday as we create opportunity and our faculty challenges students to master the theory and practice of their major. Our goal is to challenge students to be the best that they can be and to graduate students with the skills and knowledge required to contribute to the development of their professions and the lives of their communities. We strive to put our graduates on a fast track to career success informed by the liberal arts and sciences and to be ethically aware and professionally competent for life after college.